For exceptional door repair and installation, look no further than Lockman in Philadelphia. 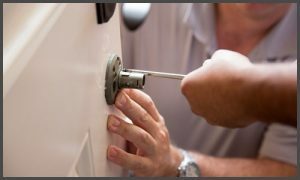 Our locksmiths can work on all types of doors, including garage doors, patio doors, and sliding doors. Your door is your first line of defense against trespassers. This is why we work quickly without sacrificing the quality of our repair services. Count on us to fix your door and hinges in no time. We can also change your door lock. If you need to replace your door to suit your brand new lock, our team can help. We install interior, exterior, and garage doors. Get a free quote today on your commercial locks and residential locks to get started. Call us or fill out our online form.